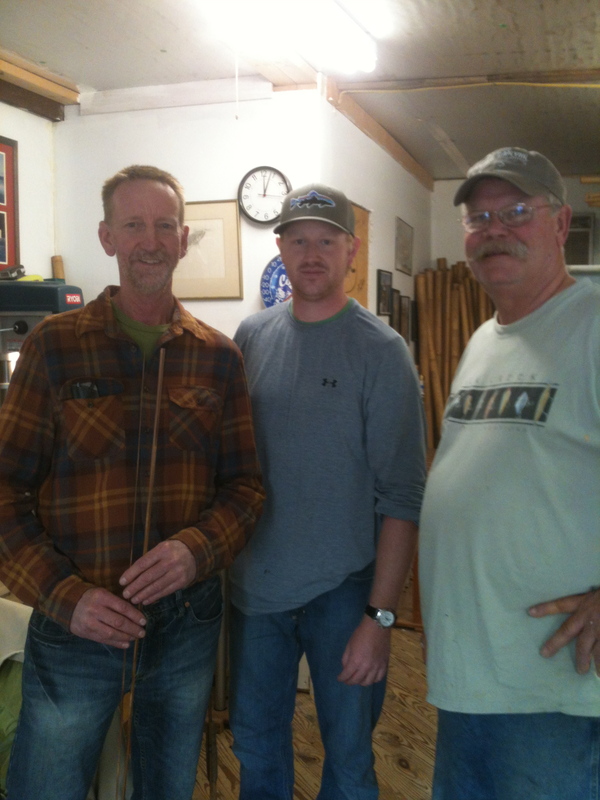 When I first met Jim Downes, I walked into his rod shop and was immediately in awe. He was sitting at the far end of the shop, hovering over some delicate procedure. My jaw was on the ground. I was in my first official rod shop. All the tools, rods, reels and stacks of bamboo were there, just as I had imagined them. It was truly a “kid in a candy shop” moment. Right then I knew that the old man and I had found just the maker to get us over the hump to build a rod. He was the perfect adversary for an OCD, young internet reading, aspiring rod maker. Jim took all the mystique out of it, and repeated to us as his mentor, George Maurer would constantly say, “Just make the damn rod!” We took his advice – all of it. No longer did building a rod feel like a science experiment. It became just a challenge, something that anyone willing to put dedication and passion into could accomplish. His knowledge of past and present makers is insane. I’m not sure if he realizes it, but I could sit around and listen to him talk rod makers all day. And yes, he cuts to the chase. He makes fishing rods – damn good ones. But he keeps it real. His rod catalog isn’t filled with “fluff,” and he hasn’t named any rod his “magical dream stream special taper.” But rather, designates his creation by its ferrule size. He builds his rod by hand, next to one of the best trout streams on the east coast, in a barn converted into a cozy shop next to a pasture. That’s where the magic is! No need to fancy things up. Hell, when I leave his shop I have to pull out my Iphone to assure myself that it’s 2012, and that I didn’t just slip back into the 1930’s. Whether Jim would admit it or not, he’s an artisan craftsman. One of the last to be living what’s left of our American Dream. God damned if I’m not jealous. Now Jim is great, and without his consent I have dubbed him my mentor in this craft. However, there are other attractions to making that four hour drive to his shop. His rod wrapper, Chantelle, is one of the most down-to-earth people I have ever met. Just awesome. Before I met her I considered rod wrapping to be a drudging task, of which I had no choice but to take part in. But her passion and knowledge for this function gave me a whole new perspective. Sitting with her taught me that wrapping, like every other detail of this craft, is an art form in its own right. Chantelle even has a black and white photo of one of Goodwin Granger’s wrapping girls above her desk. Total respect for the history of the craft. No disrespect to Jim, Chantelle or the trout of Penns creek, but the true gem at the end of my four hour drive is Elk Creek Cafe’s brewery. 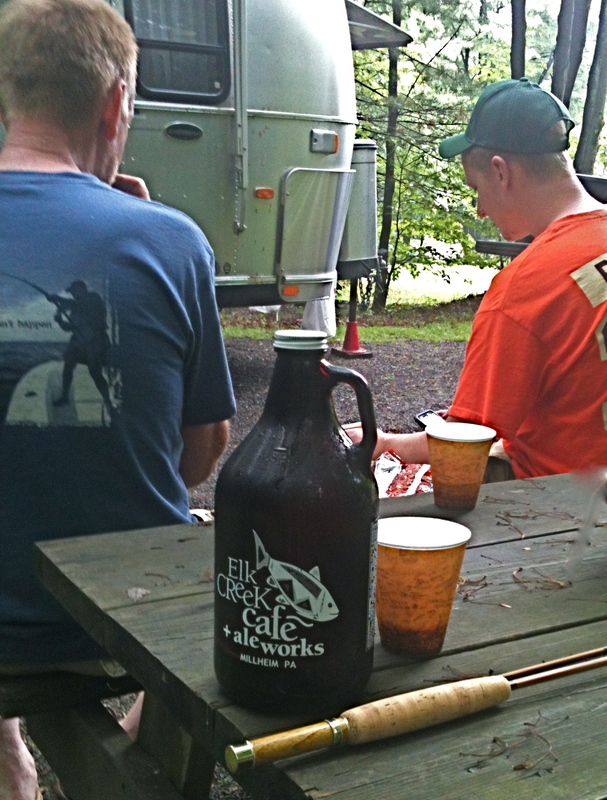 The old man and I are hopelessly addicted to their Brookie Brown Ale Porter. A dark beer, not too heavy with hints of cocoa and coffee, and smoother than hell. We fill up gallon jugs of the stuff on our way out of town every trip. And every time I begin the drive home I cant help but wonder why in the hell I’m leaving at all.